A hilarious adventure filled with live music and puppetry, for ages 3+. When the full moon shines brightly there’s magic in the air, and all the animals come out to play. 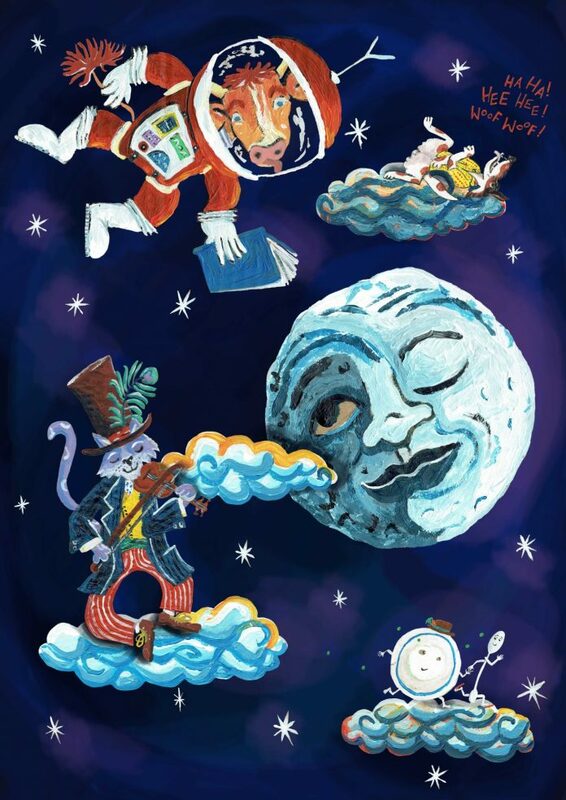 Stay up late with flying cows, jazzy cats and runaway crockery and as we jump and jive to the music in a brilliant new take on the classic nursery rhyme. Ever wondered how a cow jumped over the moon? Or why the dish ran away with the spoon? With original music played live on stage with a variety of instruments, brilliant puppetry and lots of laughter, this new show is a wild and musical celebration about the importance of imagination. Goblin is an acclaimed theatre company who make shows for young people and families.